Easy and delicious! 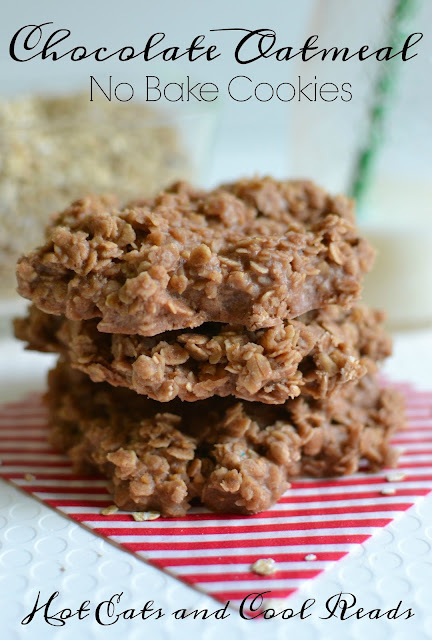 These no bake cookies are made without peanut butter and still just as tasty! 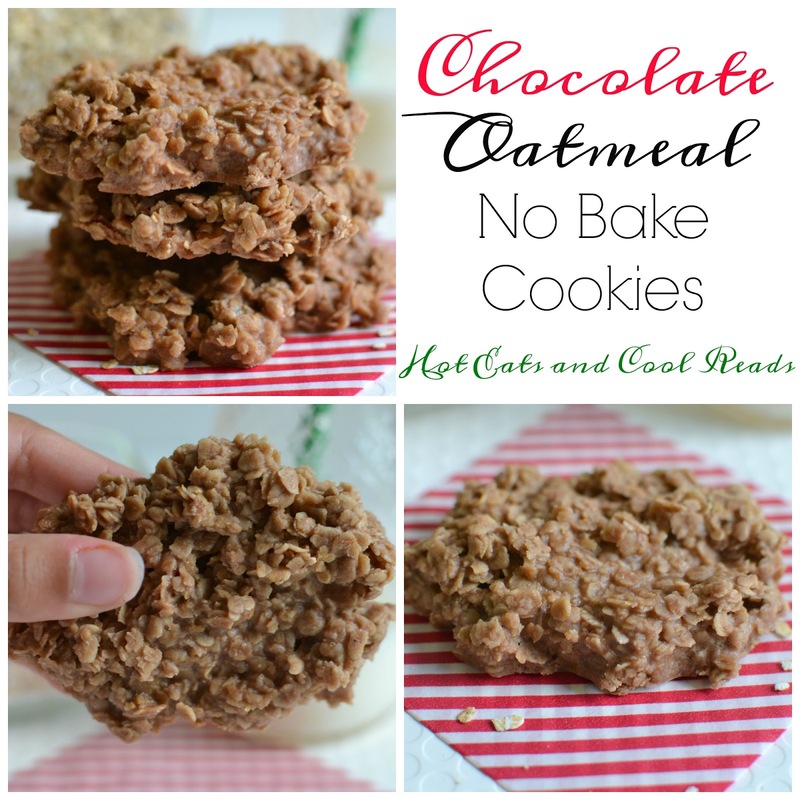 Great for the holidays or as an everyday snack! Today's recipe is one of my favorite childhood cookies! We would always gather in the kitchen when my Mom would make a batch of these cookies, and the best thing about them? They cook and cool so fast that you can eat them asap! 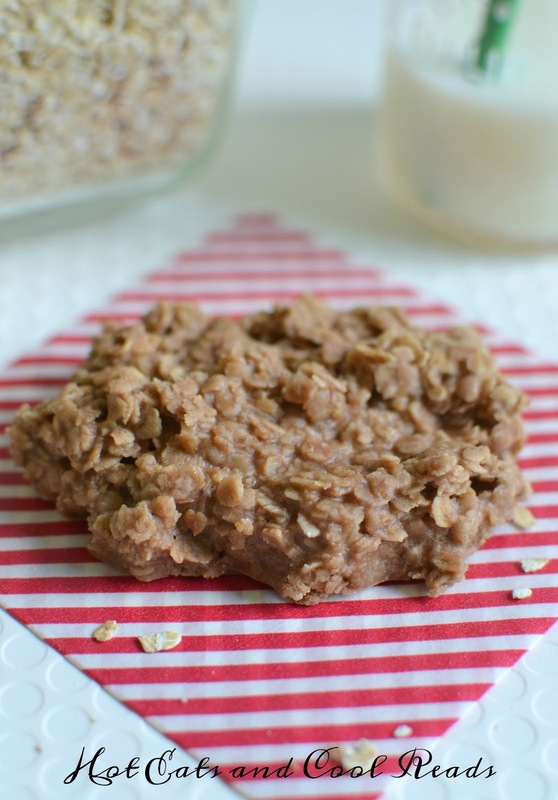 Most recipes for these no bake cookies I see floating around online include peanut butter as an ingredient. My Mom always made them this way, with no peanut butter. These are pure chocolate goodness and perfect for those with a peanut allergy! We love to make these on a regular basis, or even for the holidays! 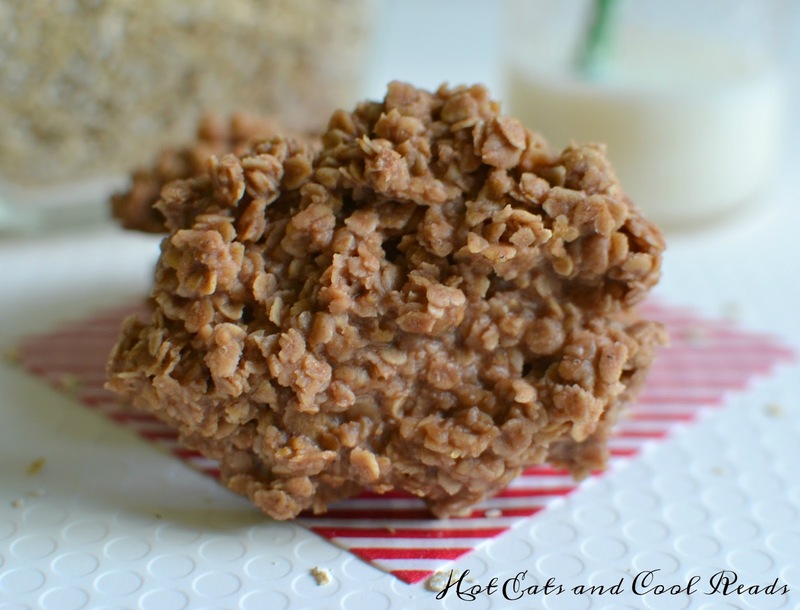 Since they are so easy to make, they are perfect for bake sales, potlucks, or holiday cookie exchanges. It's been awhile since I've posted anything here on the blog! I not only have this incredible cookie post for you today, but I also posted a great book review! If you like fiction novels, check it out here! We've been busy with community events, family stuff and my daughter just started basketball this week! She just found a new love of sports within the last couple months. When basketball sign-ups came home from school a few weeks ago we decided to let her play and see how she likes it! So far she's had two practices, but is enjoying every minute! I can't wait to see her potential and watch some of her upcoming games! We also have alot of exciting stuff coming up within the next few weeks! The non profit I work at, Promise Neighborhood is partnering with a local group to make some Thanksgiving food and blanket baskets for our families. We are also continuously planning our youth and mentoring activities and nights! This Friday we are hosting a Thanksgiving themed Youth Night with themed activities, arts and crafts, math and reading club and so much more! I really enjoy working with the youth and families in our city and it's so fun and rewarding! We are also traveling to my sister's house for Thanksgiving, attending a Timberwolves basketball game and SO much more! This is why blogging has slowed down a bit, but I'm hoping I can get back at it soon enough! I hope you enjoy today's recipe! 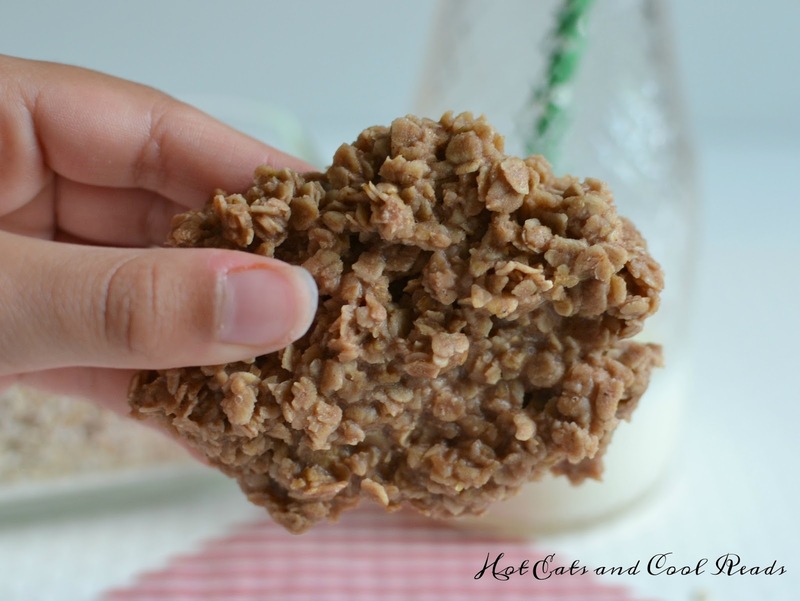 It's tried and true, and I'm sure most of you have tried a variation of this cookie over the years! Pour oatmeal in a large bowl. Set aside. In a medium saucepan, combine butter, sugar, milk, vanilla and cocoa. Heat over medium high until mixture comes to a rolling boil, stirring often. Boil for one minute, stirring to prevent burning and remove from heat. Pour over oatmeal, and stir to completely cover all oats. Drop by the scoopful onto wax paper. Cool completely before eating and store in an airtight container. Yep, your recipe is like hers. I don't know the amounts, but I have the recipe somewhere here. I really need to pull it out now! Yours look fabulous!